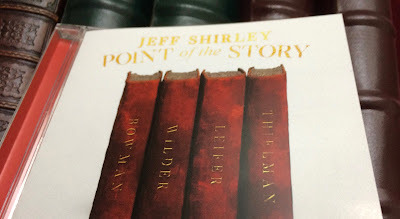 Point of the Story, the new album by Jeff Shirley, is impeccably tasteful. It’s a shock, consequently, when a bit of grit is introduced on the eleventh track. “Gerkin’s Sister Temple” adds six-minutes of left-of-center edginess to a 75-minute document that otherwise glides right down the center of jazz’s mainstream lane. Shirley is a young Kansas City guitarist in the tradition of past masters like Joe Pass and Kenny Burrell. He’s joined by the correspondingly elegant band of pianist Roger Wilder, bassist Bob Bowman and drummer Matt Leifer. Ryan Thielman contributes flugelhorn flourishes to three tracks. Conservative but never cautious, Shirley plays with a graceful confidence that makes Point of the Story a straight-ahead jazz fan’s delight. The sole frustrating aspect of the project is that a couple tracks fade out just as they’re heating up, a dilemma that will likely be rectified during the release party for the album at Black Dolphin on Saturday, April 14.